Without the advantage of knowing first the total amount they have to spend for the next fiscal year, the House Labor-Health and Human Services-Education Appropriations Subcommittee went ahead to develop a bill for Fiscal Year 2018 (FY 2018) $5 billion below the current budget cap. Within a week after the subcommittee vote, the full House Appropriations Committee approved basically the same bill, which cuts U.S. Department of Education programs by $4.2 billion (6.2%) below the current funding level. This House committee action is just one step in the process of determining final spending levels for FY 2018, which begins on October 1, 2017. FY 2018 funds are for School Year 2018-19. The specific cuts and eliminations in the House bill are very troubling and set a bad tone for the full appropriations process. ESSA, Title I: funding freeze. Note: The bill includes a new $1 billion Title I program set aside for demonstration grants for public school choice. ESSA, Title II (teacher/administrator training and professional development): eliminated. ESSA, Title IV (well-rounded education; safe and healthy students; education technology): + $100 million (Even with an increase, still less than half the possible funding level of $1.65 billion). Charter Schools Grants: + $28 million. Javits Gifted and Talented: funding freeze. State Grants (Part B): + 200 million. Infants and Toddlers (Part C): funding freeze. Part D programs all frozen, with elimination of the Special Olympics program. Career and Technical Education: funding freeze. Special Education Research: funding freeze. Head Start: + $22 million. This bill has not come to the full House for a vote as yet. It is unlikely it will pass as a freestanding bill, instead being rolled into an omnibus package with other agency funding bills. In the meantime, the Senate Labor-HHS-Education Subcommittee must write a bill, after which the full Senate Appropriations Committee and the full chamber must act. The Senate Subcommittee will not mark up a bill until at least early September. Once again Congress will not complete the process of passing twelve appropriations bills before September 30, the last day of FY 2017. And once again this means Congress will be faced with either shutting down the government or passing a stopgap Continuing Resolution to keep agencies functioning until Congress determines final appropriations for FY 2018. This scenario is 100% assured at this point, with not enough legislative days left in FY 2017 to complete the process. As LDA members consider the impact of the House Labor-HHS-Education bill, they should remember two important things. First, any time a program is “frozen” for the coming year at the current spending level, the program funding actually is decreased due to continuing increases in costs, enrollment, and other factors. Second, and most important, while the Individuals with Disabilities Education Act (IDEA) was one of the few programs to receive an increase in the House bill, many other education programs benefiting students with learning disabilities were cut or eliminated. In other words, if Congress passes the House bill or a similar package, the cuts across all education programs will have a serious negative impact on students with disabilities in both K-12 and higher education. Educating lawmakers about issues affecting individuals with learning disabilities is a key role of the Learning Disabilities Association of America. Over the last several months, members of LDA joined with partners in the disability, education, and health communities to stop proposed changes to the Medicaid program. The Medicaid program is a lifeline for many adults with disabilities, as well as for children with disabilities in schools. Through strong education activities, members of Congress were made aware of the potential negative impacts on people’s lives of restructuring the program as proposed. Restructuring Medicaid was one aspect of the larger attempt to repeal and replace the Affordable Care Act (ACA). The bills voted on would have imposed per capita caps on Medicaid, with the result of reducing or eliminating benefits for many people. Some members of Congress and their staff were surprised to learn that the Medicaid program covers not just low-income individuals, but a large number of people with disabilities who depend on the coverage. Even fewer congressional offices were aware of the more than $4 billion in Medicaid funds used by local school districts to provide services to Medicaid-eligible students, including students with disabilities. Specialized instructional support services, such as mental health services, occupational, physical, and speech therapies, and nursing services, are reimbursable under Medicaid. Students with disabilities receive these services under their individualized education programs, as mandated by the Individuals with Disabilities Education Act (IDEA). Without Medicaid reimbursement, the cost of these services would have to be paid by the district using education funds currently covering other programs and services. LDA participated in the efforts to prevent changes in the ACA that would harm individuals with learning and other disabilities. LDA members contacted their Senators to ensure they had good information about the effects of the proposals on their constituents before casting their votes. Ultimately three Republican senators – Murkowski (AK), Collins (ME), and McCain (AZ) – joined Senate Democrats to stop the harmful bill. 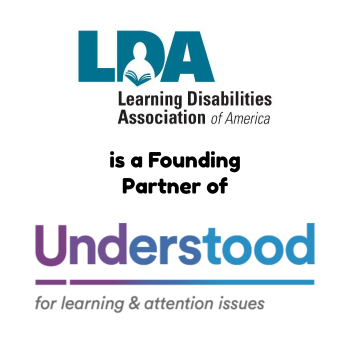 LDA is a constant presence in Washington to protect the rights and benefits of its members, and its success – in partnership with other national organizations – is just one example of LDA’s influence. The LDA Board of Directors has issued a statement supporting the use of public funds only for public education. LDA believes firmly in parental choice, but believes public dollars should not be diverted to private and sectarian schools through vouchers, tuition tax credits, education savings accounts, or other mechanisms. Currently just under ten percent of American students are enrolled in private schools, with the remaining 90 percent participating in the public education system. Diverting public dollars from the vast majority of students and schools will reduce opportunities for improving education for all. The LDA statement expresses concerns about private schools’ lack of accountability to the public. 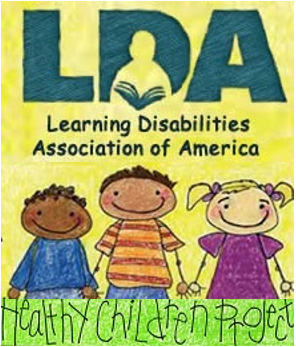 LDA notes that concern especially for students with learning and other disabilities, because private schools are not required to meet the mandates of the Individuals with Disabilities Education Act (IDEA) and other federal civil rights and education laws. This means private schools do not have to provide a free appropriate public education, develop an IEP, or have available specialized instructional support services to meet students’ individual learning and behavioral challenges. 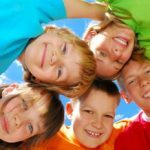 In addition, parents are not afforded due process rights guaranteed under the IDEA when they enroll their children in private schools using a publicly funded voucher or other such funding mechanism. It is important to note students with learning disabilities placed by the public school in a private education setting is not the same as giving families a private school voucher. 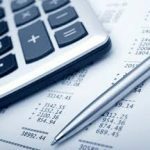 The former situation is required under the IDEA when a private setting is the least restrictive environment, and the funds flow directly to the school from the public school district. When the parent is given a voucher to choose a private school, that is when the mandates and services afforded under federal education and civil right laws are interrupted. Low- and middle-income students with disabilities and students in rural areas often do not have access to private schools, even with a school voucher. Many rural communities have few or no private schools, and the tuition in a large number of private schools in urban communities far exceeds the amount of a voucher. Transportation is also an issue for students with disabilities, since private schools do not have to provide this service. The final conclusion for LDA is that public funds should be invested in public schools. The organization believes public school choice already exists, with parents having options ranging from traditional and alternative public schools to charter and magnet schools. The most important point is that all these public school options must meet federal special and general education and civil rights laws. With the vast majority of students in the public school system, maintaining federal dollars for public education will ultimately improve access, opportunities, and outcomes for all children. The Improving Access to Higher Education Act (H.R. 3199), sponsored by Representative Mark DeSaulnier (D-CA), targets greater access to and completion of college for students with disabilities. The bill takes a comprehensive approach to addressing these issues through training, increasing resources, and expanding services. DeSaulnier is joined in this effort by co-sponsors Scott (D-VA), Hoyer (D-MD), Langevin (D-RI), and Huffman (D-CA). Mr. Huffman is also leading the effort for full funding of the IDEA. In introducing the bill, the sponsors noted that in 2005 only 46 percent of students with disabilities who graduated from high school enrolled in higher education programs. Only 40 percent of those students actually completed a degree or received a work certificate with eight years. 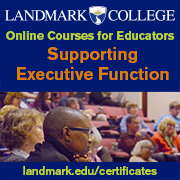 Only 34 percent of students with disabilities enrolled in four-year institutions completed a degree. This bill takes aim at these grim statistics, especially the gap in completion for those who do enroll. H.R. 3199 would tackle these issues by requiring institutions to provide students with disabilities a comprehensive array of services, such as personalized study plans and integrated housing, and partnering with local school districts. Institutions would be required to collect data assessing the success of services provided. The bill also addresses improving professional development and technical assistance for faculty and staff and developing best practices on how to integrate instructional materials and technology. The legislation creates two new $10 million grants to establish the National Teacher Assistance Center and National Coordinating Center for Inclusion of Students with Intellectual Disabilities. This bill is part of the “Aim Higher” initiative put forward by Democrats on the House Education and Workforce Committee, led by Ranking Member Bobby Scott (D-VA). They are focusing on access, affordability, and completion. The Democrats are using H.R. 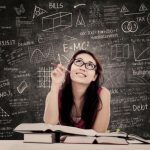 3199 and other bills recently introduced, including the Remedial Education Improvement Act (H.R. 2961) and the Community College Student Success Act (H.R. 2960), to establish their negotiating position as the Committee moves to consider reauthorization of the Higher Education Act.